London is one of the most exciting and cultural rich capitols of Europe. Tower Bridge, the Big Ben, Tate Modern, London Eye, Buckingham Palace.. the list goes on. There is just to much to see and do. Not to mention, it's a great starting point for your trip around Europe. The London Eye and the Tower of London continues to draw crowds of tourists and visitors every year, proving that London has a great mixture of modern and historic attractions. Your cheap airfare deal makes it a better bet altogether. Three major airports serve the London area, giving people a wide option for direct flights. Take a one way flight to London in the spring, which is the best time to see the countryside. 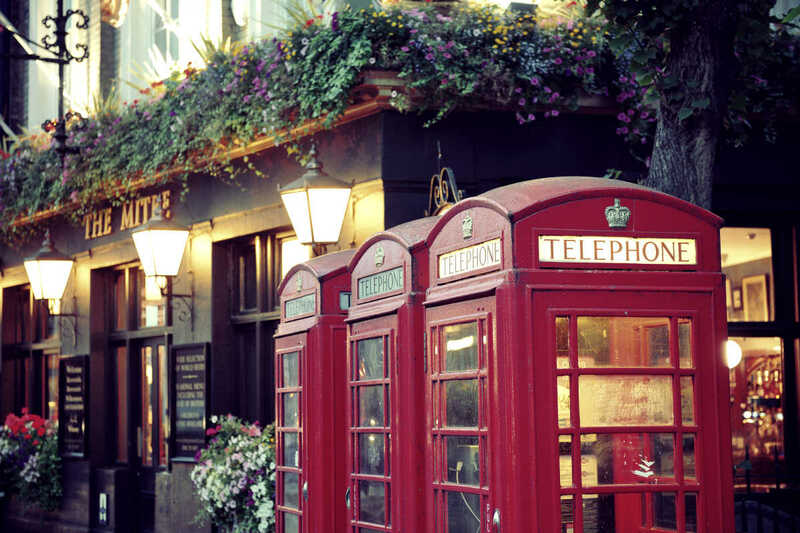 Just a typical telephone booth in London. Major Airlines: Direct flights operated by Virgin Atlantic, British Airyways and Cathay Pacific ; 1-stop flights offered by Air China, China Eastern Airlines, Swiss, Emirates, Jet Airways, Etihad Airways, and more.